At ClearBags®, our specialty is finding clear and effective protection for all of your custom products. That’s why we have special vinyl products that are long lasting, feel great in the hand, and will help your custom products look more desirable to customers. We have vinyl covers for presentation folders, several vinyl sleeves, and countless other products to help you package your best items. Take a look at the wholesale vinyl covers and sleeves we have in stock, and let us know if there is something you need for your products. 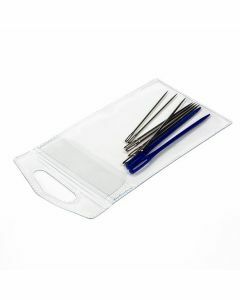 Our vinyl pouches offer durability for sharp or pointed products. 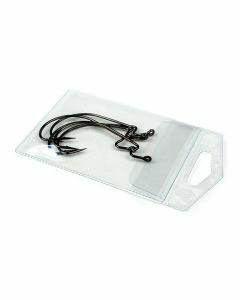 The FHV3 pouch measures 2 7/8" x 3 3/4" and is ideal for holding fish hooks as well as small jewelry and hardware supplies. The material is 7 mil thick and made of clear vinyl to showcase your product. 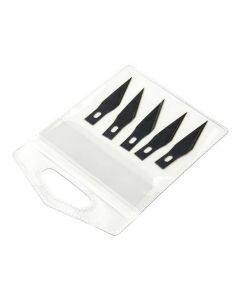 This pouch is designed with a built-in hang tab and a flap/tuck design.